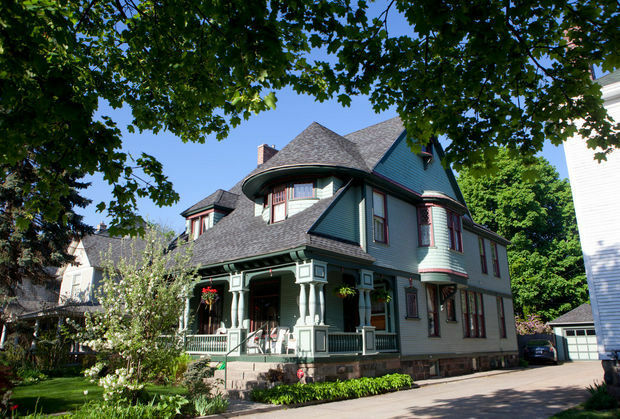 Heritage Hill is a vibrant, historic neighborhood of 1300 properties a heartbeat from downtown Grand Rapids. It is one of the largest historic districts in the country and is home to over 4,000 households. Houses here date from 1844 and showcase nearly every style of American architecture. Originally there were the home of lumber barons, judges and bankers who first shaped our city. today the population is as eclectic as our houses. Professionals, trades people, students, couples, singles, renters, homeowners and families of all colors and incomes call Heritage Hill home. It’s that unique blend of people and place that makes Heritage Hill a dynamic community.